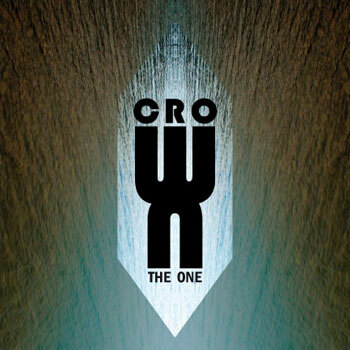 Crown (two lovely French lads and their pet drum machine) do an excellent job of synthesizing the pounding, crushingly low trance of bands like Buried At Sea and YOB and a sort of post/post-black sound (shudder) without the abominable kitsch. Once you get past the wall of body-wrenching 8-string, Crown take you back to that place on the edge of tears and staring at the ceiling that the real post-rock bands (see Gregor Samsa) took you when you listened to them alone; that place where nothing matters but emotion. Crown is one of those bands that makes you buy a shirt and come to more shows. They're one of those bands that touch you deep enough inside that you don't say a word the whole time. And you physically damage someone at the show who cares more about their beer and getting a phone number--or maybe that's just my problem. Anyway, it's also one of those bands where even the guy you hate is feeling those riffs in his bones, so there's no "that isn't really my thing" you can pull on Crown. The heaviness is surprisingly sparse, but deeply satisfying, and every aspect is just how it should be. The drum machine sounds right, the constantly evolving development of new timbres is natural and fits in every place you find it. A top-notch work by a band achieving something they'll always be proud of. Labels: 2012, Crown, Review, Sludge, V.